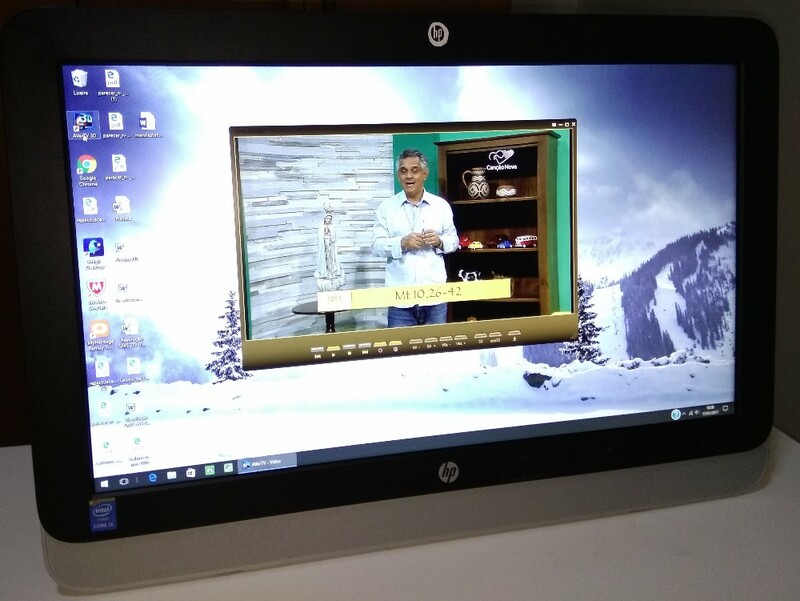 You want to buy a good brand PC? The All in One HP is a great option. 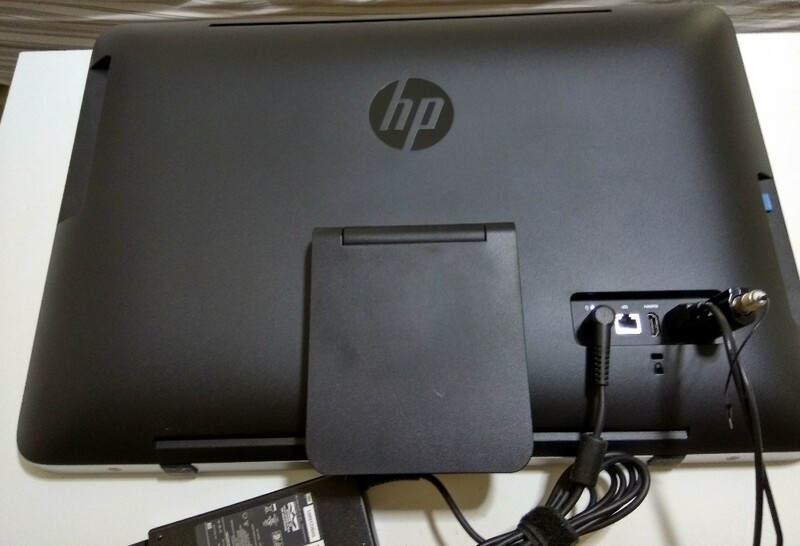 Beautiful, occupies little space, has digital TV, has HP's own warranty and has a good processor and 4 GB of RAM. 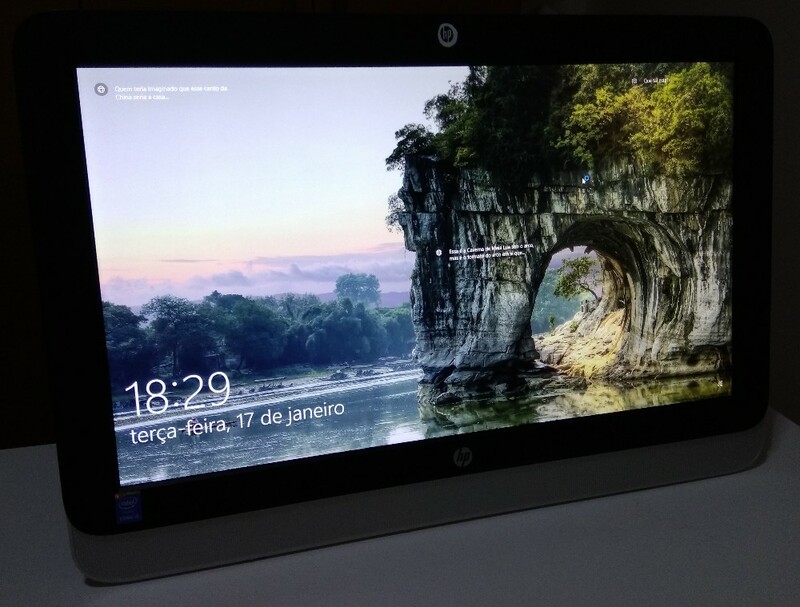 Great for a conventional desktop computer. Inside the box comes: the computer, that is actually behind the monitor 22 inches, a wired mouse and keyboard and a remote control. 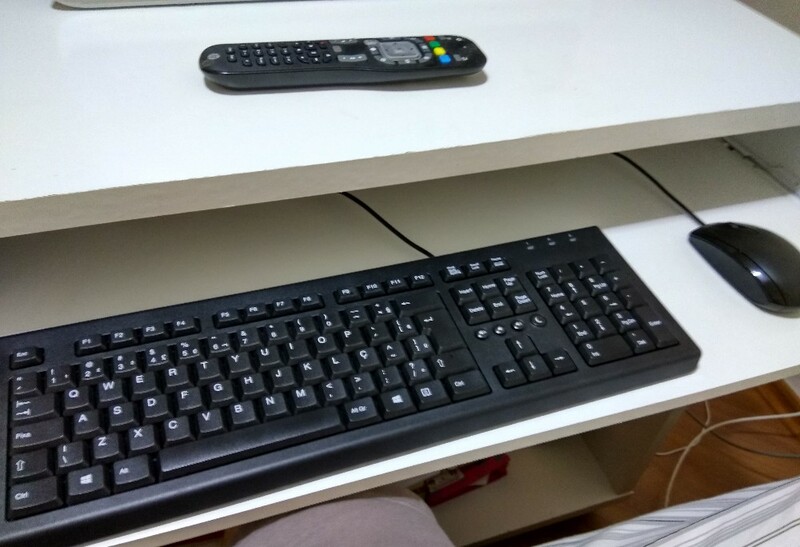 There's the remote. This model has digital TV. 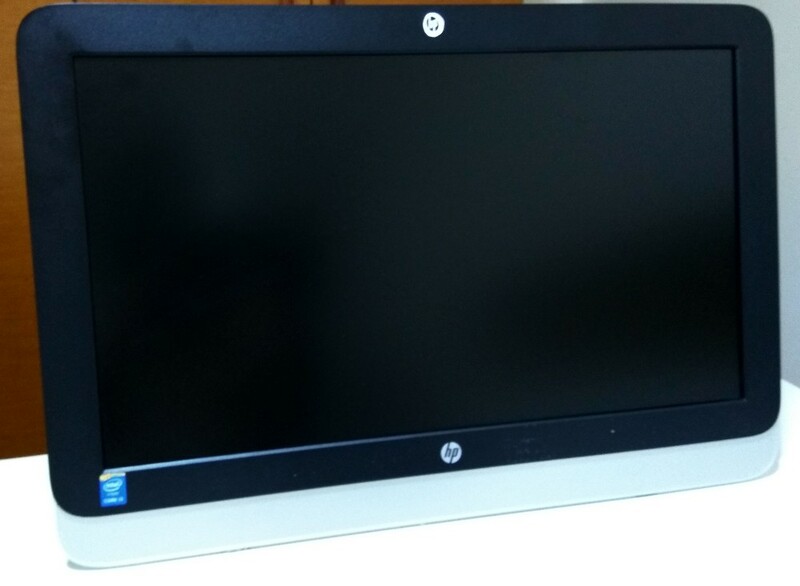 There's the computer seen from behind. He argues from this support. Doesn't look like it's going to be tight, but is Yes. 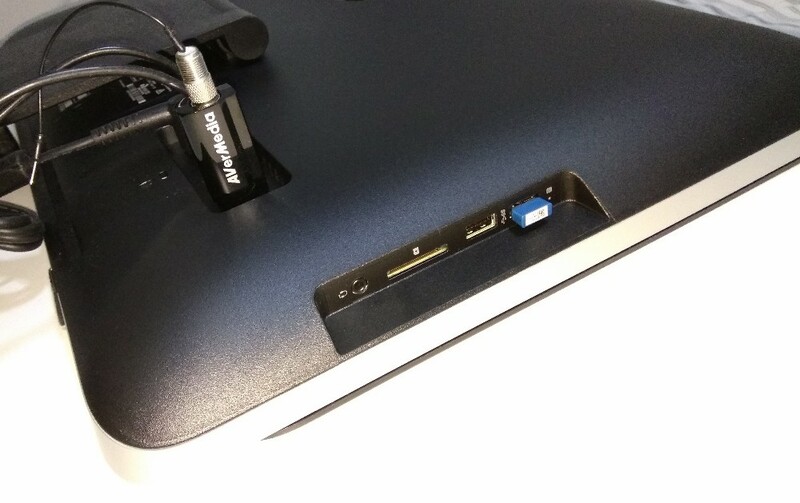 In one of the sides have two USBs, a memory card and a headphone jack output. 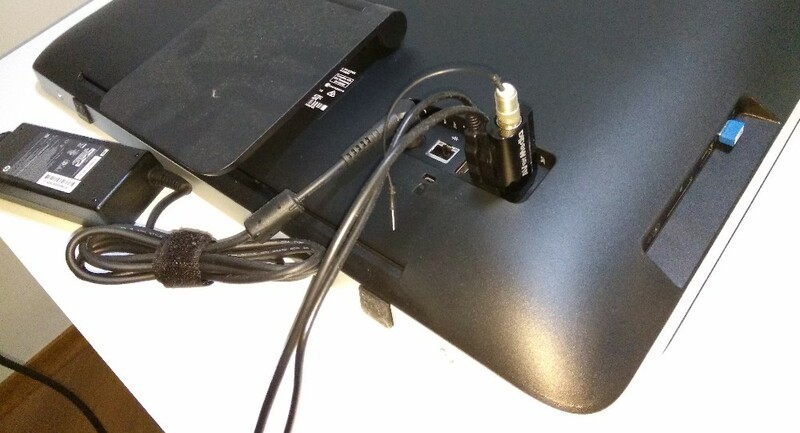 See this adapter with a RF connector, This is the adapter that allows ISDB digital TV on your computer. You can connect this adapter in another computer or TV if you want. On the back has three USBs, an entry for ethernet, the HDMI output and an input to the source. 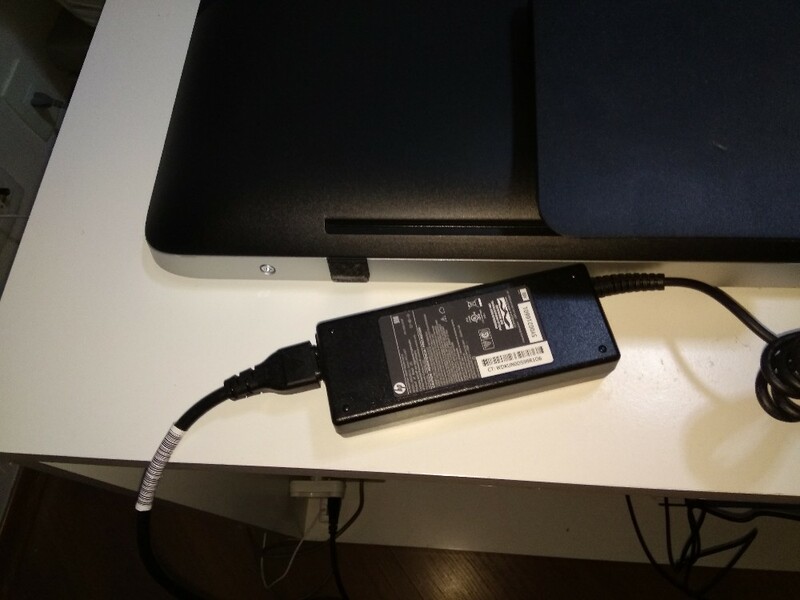 The computer source is external. 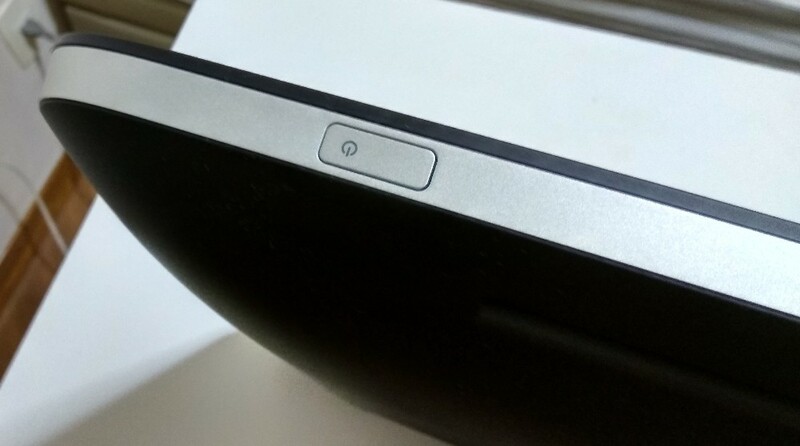 See the source detail, that can be hidden in the back of the computer, beside the support. It has a DVD ROM burner on the right. 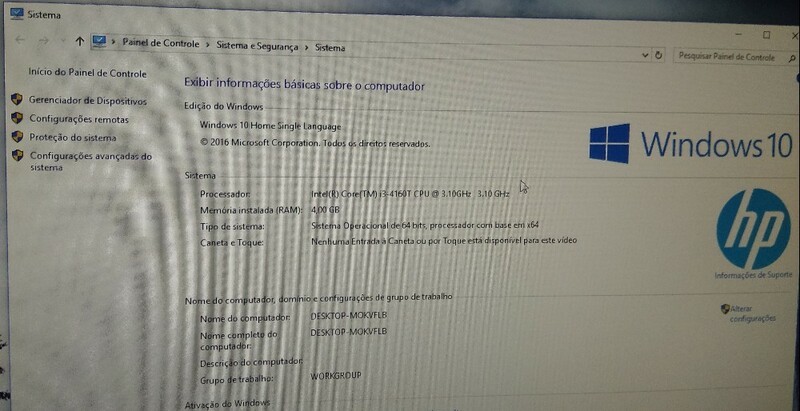 The computer comes with Windows 10 original already installed and ready to be used. 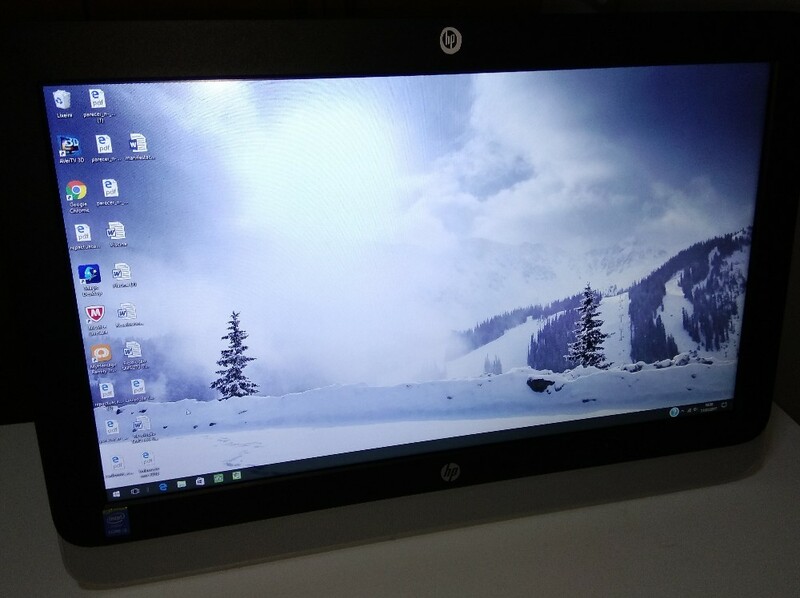 Windows 10 It's not exactly a great system, but works fine on this computer. 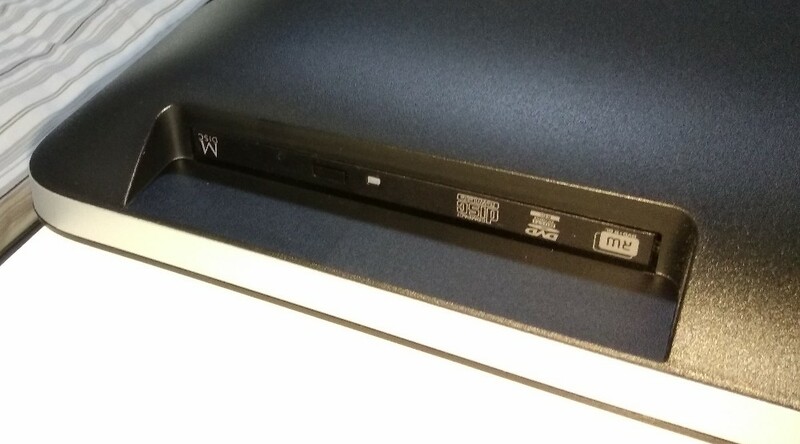 As well as the digital TV receiver. Below some information about processor and memory shown by Windows 10.